Picking your own berries and pumpkins is something that a lot of our customers really enjoy and it can be a great experience for kids too! For many families, it becomes a yearly tradition to look forward to. We invite you to continue the tradition or start a new tradition with your family and friends of enjoying fruit fresh from the field. We are happy to offer U-Pick at our farm for strawberries, red raspberries, blueberries, and pumpkins! Check below for more information on u-pick availability. If you prefer to have us pick your berries for you, you can give us a call at 608-254-2311 to place your order. Strawberries are now done for our 2018 season. For daily picking conditions, please visit our What’s Ripe Page. When you come to our farm, please visit our store first to receive berry picking supplies and directions to the field. When you come to our farm, we will give you a strawberry flat (that’s a shallow waxed cardboard box) and a wire carrier, with a flag holder, to carry the flat. We will tell you which field to go to. When you get in the field, go to a flag in a row and start picking from that point. Take the flag and put it in the loops on the handle of your carrier. When you are done picking, leave the flag where you quit picking berries so the next person will know where to resume picking. Please don’t jump from row to row when picking. We would appreciate it if you would stay in your own row when picking. This way we know the whole field gets picked and that there will be berries in other rows for other pickers. Pick ripe berries. Look a strawberry over before picking it. If the tip is still white, it is not as sweet and ripe as it can be. To pick them, hold the strawberry lightly in your hand, grasp the stem just above the berry and pull with a slight twist. Look carefully under the leaves and along both edges of your row; strawberries like to hide. Please pick thoroughly, getting all the berries that are ready. It greatly helps us and the next person who picks your row later if you remove berries that have bad spots and place them in the aisle behind you. Some people even pull some weeds out for us — but that’s not required! Please walk in the aisles and paths. When we step across rows of strawberries, we sometimes damage the plants. When you are done picking, bring your berries back to our store and we will weigh them for you. Strawberries are sold by weight. You may take the strawberries home in the flats we give you. Want to be the first to know when strawberries are ripe for our 2019 season??? Every year we send out post cards to let you know when strawberries are ripe! Click below to go to our sign up page to be added to our strawberry mailing list! Summer Red Raspberries usually start in July. Fall Red Raspberries usually start in August. Check our “What’s Ripe” page for picking reports. When you come to our farm, please visit our store first to receive berry picking supplies and directions to the field. 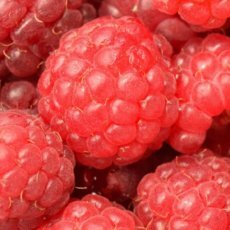 Red raspberries are available to pick in pints or if you plan to pick a large amount, flats are available too. Red raspberries are ripe when they are all red or purple. The sides turn color last; if it is green or yellow it is not ready. But you really know if a berry is ripe if it is easy to pick. To pick a raspberry, hold it gently near the stem. If it doesn’t come off the stem immediately, you can use a gentle rocking motion. If it still does not come off the stem, it is not ready to pick; go for another berry. When you are done picking, please bring your berries to our store to pay. Blueberries typically ripen in July. When you come to our farm, please visit our store first to receive berry picking supplies and directions to the field. 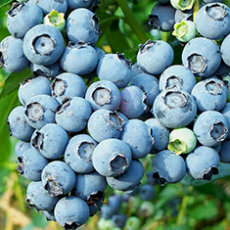 Blueberries are available to pick in pints or if you plan to pick a large amount, flats are available too. Blueberries are ripe when they are all dark blue. The portion around the stem turns color last; if it is reddish purple, yellow, or green, the berry is not quite ripe. Expect to make some mistakes and get some less than fully ripe berries; that’s ok. 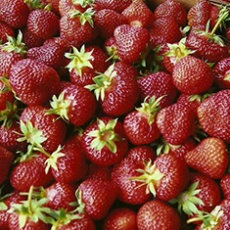 The berries that are not quite ripe are more tart, and mixed together with the ripe berries gives a good flavor. Also, if you leave then on the counter overnight or for a few days, they will ripen more! 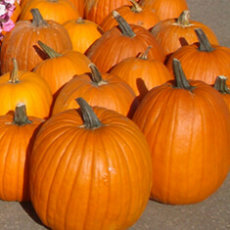 Pick your own pumpkins right from the field when you visit us! We have pumpkins of all sizes, shapes, and colors! Families and friends love going out to the field to find the perfect pumpkin! You can choose to either walk out to our closest field, or you can ride our Country Bumpkin Express Farm Train Ride (additional fee for ride) out to one of our far fields to pick your pumpkins! If you choose to walk to our pumpkin field, we have small wagons available that you can pull to the field with you. We just ask that you bring it back when you are finished picking. Please note: In the fall, our Country Bumpkin Express Farm Train Ride is available on the weekends all day long, or on the weekdays by appointment or take-your-chance-hit & miss. This is due to the fact that we reserve the weekdays for school group class trips to the pumpkin patch! Once you find your perfect pumpkins, bring them back to our store and we will weigh them for you. Pumpkins are sold by weight. Our giant Prizewinner pumpkins are sold by size.